d-Aldoses are related to d-glyceraldehyde as can be illustrated by their chemical synthesis from d-glyceraldehyde (Fig. 1-1). l-Aldoses are similarly related to l-glyceraldehyde. In this synthetic scheme, a nucleophilic cyanide ion (:CN) adds to the carbonyl double bond (C-1) of glyceraldehyde, giving two cyanohydrin products. Selective reduction and hydrolysis of the CN group to an aldehyde completes the conversion of the triose d-glyceraldehyde to the pair of aldotetroses having a new chiral carbon at C-2. A chiral carbon atom is one that is bonded to four different groups. Accordingly this reaction scheme lengthens the carbon chain from the carbonyl end, giving two new aldoses whose last three carbons derive from glyceraldehyde. Thus, the configuration of the hydroxyl on the highest numbered chiral carbon of an aldose or ketose determines d or l status. For a d-sugar, this hydroxyl is to the right of the carbon chain in the Fischer formula. Each cycle of the synthesis creates a new chiral center at carbon 2 and a pair of stereoisomers. Accordingly, there are two tetroses, four pentoses, and eight hexoses in the d- (Fig. 1-1) and also in the l-series; not all of these occur commonly in nature. l-Sugars are mirror images of the d-sugars, with the configuration of all chiral carbons reversed (e.g., d-glucose and l-glucose). Sugars that vary in their configuration at only one carbon are epimers. 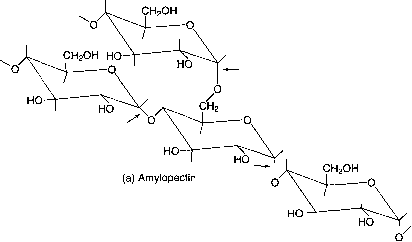 Thus, glucose and galactose are C4 epimers, and enzymes that catalyze this conversion are epimerases. Figure 1-1. Structures of the d-aldoses (tetroses, pentoses and hexoses), showing their derivation from D-glyceralde-hyde by chemical synthesis. At each application of this reaction scheme, the :CN anion adds to the carbonyl carbon, lengthening the carbon chain by one carbon and creating a new chiral center at C-2 and a new pair of isomers. Reduction and hydrolysis of the :CN group restore the aldehyde function. of carbon atoms is designated also. d-Fructose is the most common ketose, and its systematic name is d-arafomo-hexulose, showing that the three chiral carbons in d-fructose have the same configuration as those in d-arabinose. 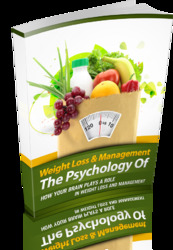 Frequently, the names ribulose and xylulose are used for the two ketopentoses. Their correct systematic names, however, are D-erythro-pentulose and d-iftreo-pentulose, respectively, showing that they have only two chiral carbons. How to systematically name aldoses?